First week of October already... better get myself ready for Halloween season! Do you know what you are doing for the Halloween yet? I promise to keep you posted this next couple of weeks on cool craft ideas, fun costumes and spooky food. 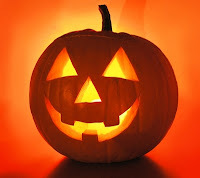 To get an idea on what to do in Dubai this Halloween read this article from Expat Echo Dubai! And to know more about Halloween history read this article.